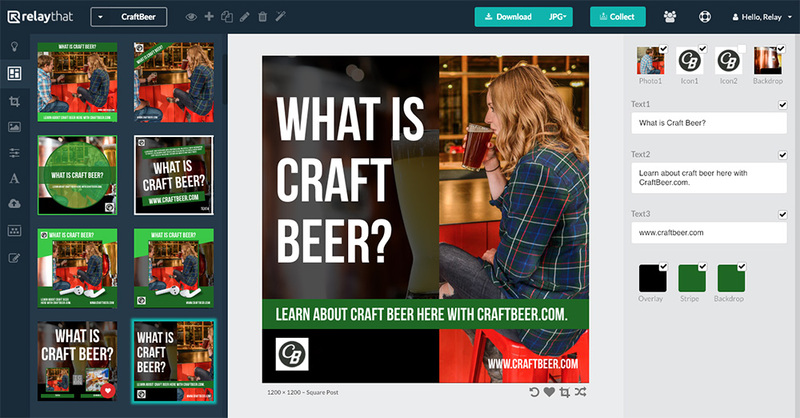 Make 1000's of branded images in seconds with Magic Import. Add any URL from homepages, blog posts, or social media and RelayThat effortlessly imports photos, colors, and logos. Finish in 3 easy steps! 1. Click on the "Magic Import" icon next to any Project. 2. Add any URL to the input field and click the "Load" button. 3. 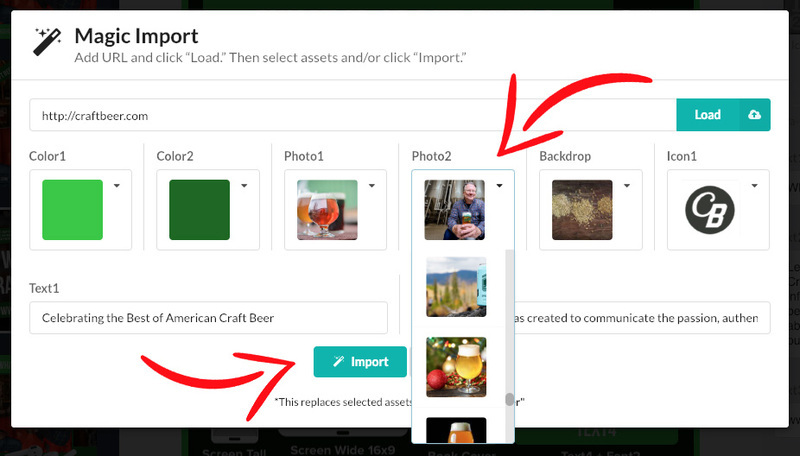 Refine brand asset selection or just click the "Import" button! 4. That's it. You're done! RelayThat automatically builds thousands of professional, branded designs perfectly sized and optimized for every online marketing channel!